Nelly Arrested for Crystal Meth and Marijuana Found on Tour Bus! Lawyer is Certain Charges Won’t Stick! 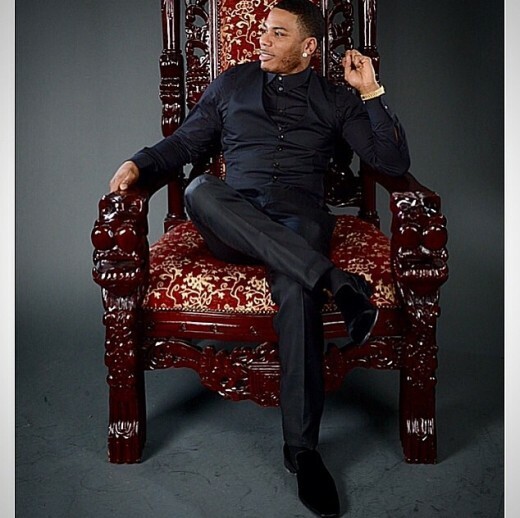 Rapper and reality star, Nelly, was arrested in TN this past weekend for drugs found on his tour bus! Authorities claim they found crystal meth, marijuana, drug paraphernalia, and fire arms. Although the rapper was booked, his lawyer is certain that the charges will be dropped! Nelly had an interesting weekend! The rapper was arrested for possession of drugs found on his tour bus. The bus was pulled over by a TN state trooper for not having the proper stickers. The officer got a whiff of pot and searched the bus. During that time crystal meth, marijuana, and guns were found. Nelly was hauled off to jail, and received a felony charge for the meth and misdemeanor for the marijuana. He was also booked for drug paraphernalia. Nelly’s lawyer, Scott Rosenblum is confident that all the drug charges will be dropped! He claims the drugs found on the bus were not his client’s. A small quantity of (MDMA/Ecstasy) was discovered. Nelly will not be associated with the contraband that was allegedly discovered. His lawyer’s argument is that multiple people had access to the bus before the stop; therefore, the drugs could have belonged to anyone. UPDATE: Is Justin Bieber’s Dad Responsible?